A senior North Korean diplomat in charge of Russian affairs arrived in Beijing on Saturday. 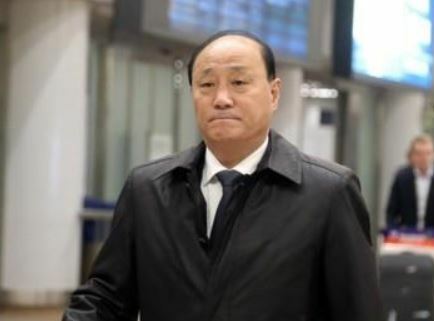 Asked whether he was en route to Russia, North Korean Vice Foreign Minister Sin Hong-chol told reporters at the Beijing Capital International Airport, "I have something to do in Beijing." North Korean leader Kim Jong-un visited China and held a summit with Chinese President Xi Jinping earlier this month, marking his fourth visit in less than a year. Kim's trip to China this month is thought to be an effort to hold consultations with Xi ahead of a possible second meeting with US President Donald Trump. On Friday, in Washington, the White House said Trump and Kim will hold the summit at the end of next month. Separately, officials at North Korea's Samjiyon Orchestra also arrived in Beijing on Saturday. A source said Hyon Song-wol, leader of the Samjiyon Orchestra, accompanied Kim during the January visit and she discussed a performance in Beijing with Chinese officials.